It appears that U.S. President Donald Trump may be moving forward with appointing former Republican presidential candidate and Godfather’s Pizza founder Hermain Cain as a Federal Reserve governor. Earlier this year, CNBC reported that Trump was considering the former presidential candidate for a Fed governorship.The 73-year-old Cain was a former chairman of the Kansas City Federal Reserve, serving for seven years between 1989 and 1996 before leaving to focus on political activities. “He won’t formally announce until the vet is completed … But he likes Cain and wants to put him on there,” said a senior official quoted by Axios who was in discussions with the president. 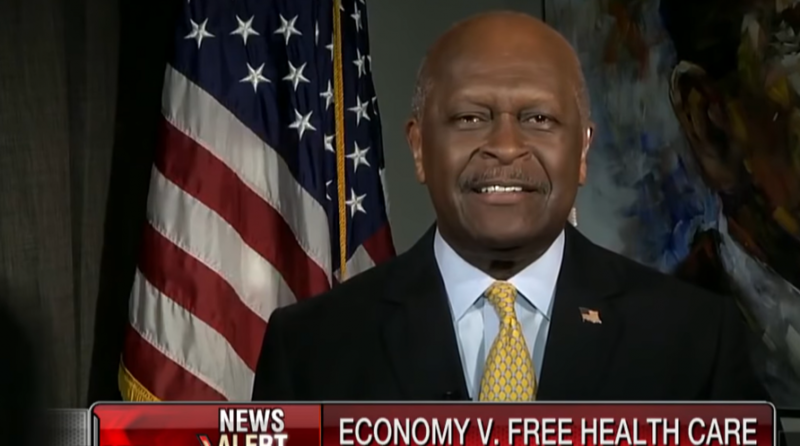 Cain purportedly met President Trump at the White House on Wednesday as he was escorted by National Economic Council director Larry Kudlow. The central bank board has two vacancies available and President is said to be meeting with various candidates to fill the open positions. Cain’s popularity surged in 2011 when he ran for president. HIs campaign was popularized by the “9-9-9” plan, which referred to the tax rates his plan would apply to personal income, federal sales and corporations. Trump’s frustration with the central bank has been well-documented. As has been the case whenever market volatility racks the major indexes, President Trump has been quick to denigrate the Federal Reserve for raising interest rates.